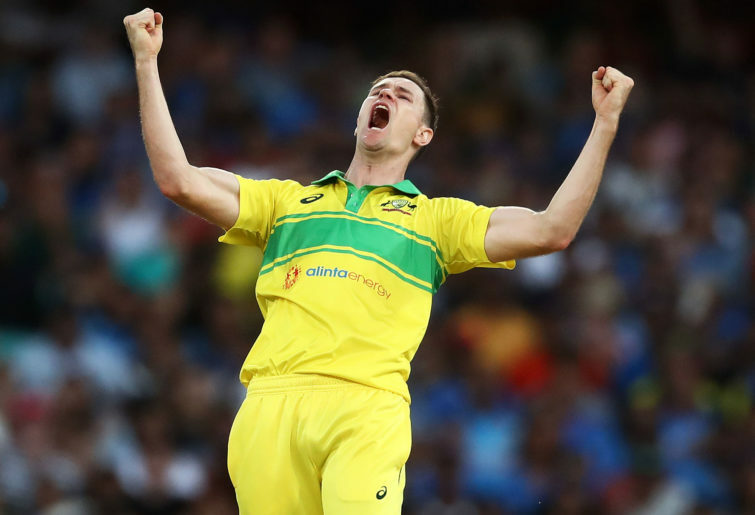 When the selectors decided to rest the big three Mitchell Starc, Pat Cummins, and Josh Hazlewood from the three-game ODI series against India, the general consensus was India, as world number two nation, would inflict plenty of pain on sixth-ranked Australia. The consensus grew when the panel named replacement quicks Billy Stanlake and Jhye Richardson who had been hacked by England last year, Jason Behrendorff on debut at 30, Peter Siddle at 34 who hadn’t played an ODI for eight years and the unreliable Marcus Stoinis. When selectors left senior strike bowler Stanlake out of the first ODI and Glenn Maxwell was pencilled in at seven in the batting order, the consensus was almost universal, especially as Australia since the last World Cup in 2015 had only managed to crack the run-a-ball 300 just 23 per cent of the time while England was at 41 per cent, and India 26. Funny game cricket, Richardson and Behrendorff said stuff you knockers, you disbelievers, we’ll take over. And that they did with such stunning success. Australia won last night by 34 runs at the SCG, giving excellent entertainment to a far better than anticipated crowd of 37,556. Chasing 289 to win, India was in deep trouble after just 23 deliveries at 3-4. Champion opener Shikhar Dhawan was Behrendorff’s first international wicket when he departed for his first golden duck in 115 ODI digs, a coup for Behrendorff. But Richardson went one better, dismissing world number one ranked ODI batsman Virat Kohli for three and Ambati Rayubu for a second ball duck. Australian supporters wouldn’t have expected 3-4 from the big three, let alone the two rookies. But Rohit Sharma and the legendary MS Dhoni righted the Indian ship with a 141-run partnership for the fourth wicket off 171 deliveries to give the tourists a sniff. Sharma was the senior partner on his way to 133 off 129 with 10 fours and six sixes for his seventh ODI ton against Australia. But it was the 37-year-old Dhoni in his 333rd ODI and hasn’t played a meaningful game of cricket since November, who deserves the Indian accolades. Sure, he took 96 deliveries for his 51, but he kept Sharma going in search of an unlikely victory. It was all over once they were parted. So man-of-the-match Richardson claimed 4-26, and debutant Behrendorff 2-39 off their 10 overs apiece. They indeed took over, but Siddle and Stoinis were pedestrian. 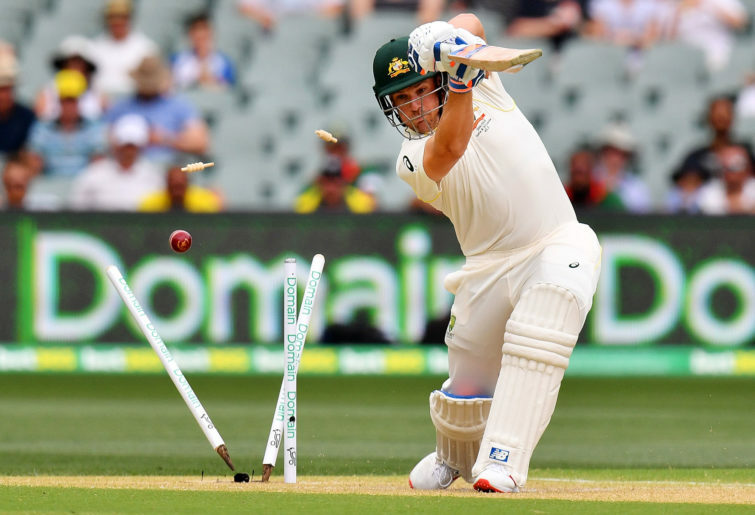 The biggest farce was Maxwell sitting beside his skipper Aaron Finch in front of the Australian shed, stroking his beard in boredom waiting for his five-ball dig to start that netted 11 runs. Maxwell should have batted five when the Australians were pottering, but Finch never flinched. Maybe he was thinking about his own drought of runs across all three formats. In ten Test digs he averaged 27.8 before being dropped, in his last five ODI digs he’s averaged 17 and in the last eight T20 visits, averaging 8.37. Last night it was clean bowled again through the gate for six. Yet again every other Australian batsman got a start without going on with it, with the exception of Peter Handscomb’s 73 off 61. Alex Carey looked good until being back-cut to slip for 24 off 31 and Usman Khawaja swept a well pitched up delivery to depart leg before for 59 off 81, while Shaun Marsh was positive in his 54 off 70 until he mistimed an attempted six and was caught on the drive. Stoinis was the biggest disappointment, he wasn’t with it all game. In his partnership with Handscomb the traditionalist, Stoinis was supposed to be the hitman, but Handscomb comfortably outscored him. More importantly, Handscomb ran the first run hard looking for two, while Stoinis strolled the first, switching off any possibility of a second when runs were needed in a hurry. Stoinis’ final figures looked OK with an unbeaten 47 off 43, but only because he smacked two fours and two maximums very late in his innings. Had he switched on earlier, the Australians would have cracked the 300 barrier. Come Tuesday and the second ODI at Adelaide, Maxwell must bat five with Handscomb six and Stoinis seven. And Stanlake to replace Siddle. In the meantime, let the rookies Jhye Richardson and Jason Behrendorff enjoy their moment in the sun, and hopefully repeat their heroics in the City of Churches.